This summer, five asylum-seeking families who were detained at the Berks Detention Center were released after nearly two years! Now, they need to be able to work and have identification! Unfortunately, unlike a driver's license or other state-issued identification that an American citizen might get, the cost of an immigration "Employment Authorization Document" (i.e., a photo identification card/work permit) is expensive ($410)--especially for asylum-seeking families who fled their homes with nothing. 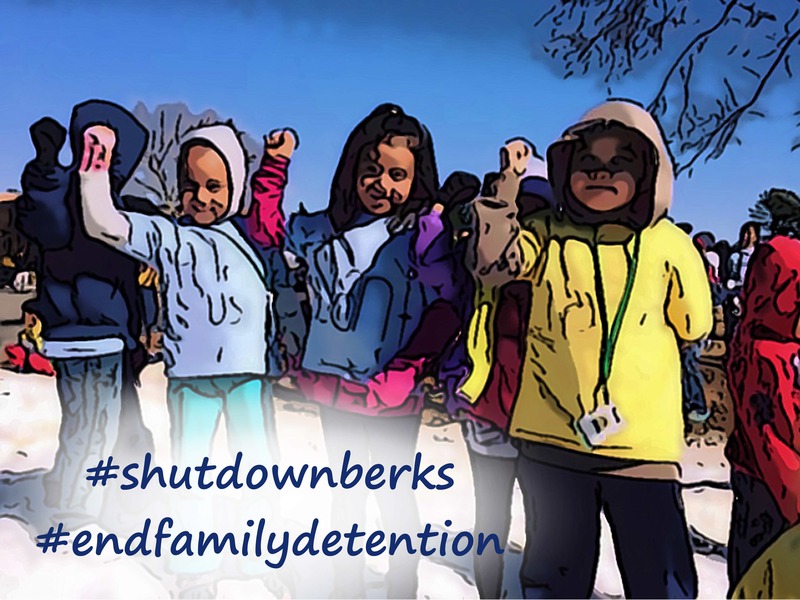 So, to help these families--single mothers and their children--get on their feet, the #ShutDownBerks Coalition is working with Aldea - The People's Justice Center (which is also part of the SDB coalition and whose attorneys represent these families) to raise the money for all the permits needed. And, speaking of head starts, $1000 has already been raised and we have an anonymous donor willing to give an additional $1000 in matching funds if we can raise the remaining $2100 needed to cover the total cost ($4100). We can do this! Can you please give a few (or many!) dollars to help us reach our goal of $4100? The deadline is Sunday, Dec. 31. That way we can cover the cost of the permits for all these families in a timely fashion and give them some relief during the holidays. Please give generously! Thank you in advance! Aldea PJC is a 501(c)(3) charitable organization, EIN 81-3635849. All contributions are tax deductible. No goods or services will be provided in exchange for the contribution.